All of the Episodes' trailer looked like the designers wanted to try out new things, and how they all work out, that's why we haven't gotten any model that is suitable to all of the trailer. Maybe they want to see which trailer model reaches to most of the players. 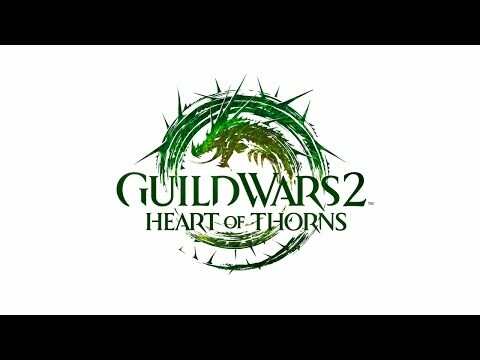 This trailer was very serious from the very beginning to the end, very dramatic music really gave this whole trailer this seriousness, and the last, very sad rendition of HoT's theme, kind of brings to my mind that we say farewell to Heart of Thorns, foreshadowing that very serious problems will be revealed- I'm saying those post-factum, didn't know this sad tune would mean such heartbreaking things that happened in this Season so far. That was a very nice trailer, gave me a touch of seriousness, and that episode was VERY serious. Less joking, more drama. and this trailer was all about the story. and still looked more like Season 3 trailers. It was basically showing the one character, the main antagonist, to share some wicked insight to this character: Joko. Leading to a big reveal: the roller beetle. It was very one dimensional. more recap, than actually showing the actual stuff in the episode. But if you pay attention to the music, you can hear a subtle hint, that something will be very wrong: during Aurene's theme drums appear, and the drums were not originally in this theme. Those drums I think were supposed to give this sense of 'something is not right'. And as it turned out, nothing is alright now. Play Ep 4 to find out! so basically this trailer was more focused on some slight, almost unnoticable things, much more mysterious and giving no clue where the story is going. So, which style should be used more often? I like all of them. They kind of fit to the episode, and I can't see how they could've improved that. Definitely don't want ArenaNet to generalize on one style only, they already seem to be doing that too much in other areas of the game, in my opinion. Overall, I liked all of them, except for A Star to Guide Us, since it only showed new content we already knew was going to be in the episode (Sun's Refuge) and was otherwise old scenes and audio. Also, not really a fan of the new table at the end of the recent trailers that tells us what we're getting each episode, as I feel it ruins a lot of the surprise and hype. Overall, Daybreak is still my favorite of the S4 trailers because of the sense of foreboding it gave, while also showing the right amount of new content while still leaving me wondering what we will get and where the story goes. For me trailerwise: Daybreak > A Bug in the System > Long Live the Lich >> A Star to Guide Us. Rather than simply describe them, why not link them? I love the trailer for Heart of Thorns, my favorite until today and always creeps me out. I liked them all, personally. But if I'd be a dev, and I'd have to decide which style should be dominant, I'd personally mix Daybreak's nice storytelling, A Star to Guide Us' mysterious hint in the music and Long Live the Lich's showing off the whole content, not just make a list of the things to come. I like the Guild Wars 1 factions type of trailer, hope that style makes a comeback one day. The bug in the system trailer, mostly for the "Fear not this Night" remake. To me only bug in the system has been decent or at least been something memorable and unique. Some of them would not entice me if i wasnt already going to play them,, esp the ep4/star to guide us one. Ep2 was clever and stuck in the mind which is the hallmark of a good trailer. If it gets people talking about it and memory of it lingers strongly, then that shows they succeeded in their task. Most trailers for the seasons id struggle to remember about any time after nor fitted the episode in question. I honestly liked all the trailers, and they all have made me excited for new content, however Bug in the System was my favorite. I think I felt shivers when I heard the darker version of Fear Not This Night. they were are really boring, they never bothered to even look at already existing movie and game trailers to learn from their mistakes. trailers like the one in WoW and fallout let's you know the scope of what's to come, all i see in GW2 trailers are stuff that never got in the upcoming game or stuff that's blown up to be exiting but really isn't. I think it's way too harsh critique. And I think, in contrary, that they really want to find the way to make their trailers reaching to the greatest amount of players as possible. For example they started to show off their content, the map's name, the features- and that's what transparency means. In Season 3 all of the trailers were all about to hype us up, there was none that gave you some creepiness, some funny lines and pictures, it was all so sublime, that I already vomited after Episode 6's trailer. Season 4 started off with this hype up style, epic music, epic everything, people didn't like A Star to Guide Us trailer not because it was toned down, but because it was so different out of nowhere. I mean this trailer would fit, if all of the previous trailer would be just like this. But I think the designers and writers will finally have to pick one final style, that we will see constantly in Season 5. Those 4 different trailer styles show how many ideas they have for their trailers and what they want to tell by them to prepare people for the things that happen one week after the trailer is being released. I have no idea how Ep 5 and 6 trailer will look like, but I think they will try to mix 1 with 3 or 2 with 4 etc. They can experiment, now its the time, but Season 5 must reach to most of the players, so they will buy their next expansion. PS: The trailers for WoW are mostly focused on their expansions, and only then they show off the whole content, what was very sad in PoF's trailer is that they said there will be 5 maps, but didn't say their name, their appearance. Because I understand that HoT's first announcement couldn't just show the names of the maps, because it was 9 months before the HoT's release, and the names could easily change in process. But PoF was announced 2 months before its release, so they should have given as much information as possible, not just showing some pointless weapon animations in their expansion trailer and how a guy swings his sword or dagger. I think this is the style they should stick to, and it was the most beautiful trailer ever. "The journey of the hero is filled with trials. Trials of courage. Trials of loss. Trials of war. Each forging the hero in the fires of resolve, wisdom, and strength. Propelling them into the unknown. This journey never ends. The hero's journey is to become legend." And after those few lines, you really get into the trailer, you're starting to feel it. I really like all the trailers and I couldn't choose a favorite. I just enjoy the fact they give us a trailer so I can get super hyped for the new LS episode to arrive. Ep 1, 3 were meh/bad for me whereas the ep 4 one is okay (I would have included some rifts shots personally), and some elements were misleading like the derv shot shown like it was an awakened inquest boss. Also why red and not blue if for pact? Ep 3 trailer was flat, a thorn wall, roller beetle.... whereas the core thing was gandara and she is not even finished. Ep 1 one was meh but the map is cool. While I do adore Ep.2's style (It was multiple steps up from all the trailers we'd had in the last year+ prior to LW4! ), I feel like it's hard to say any one of these has been better over another, because each one of these has been very tailored to the episodes, which overall works better than the trailers for say, LW 3 did, wherein they tried to run an overall theme/consistent style. I hope ANet keeps it up for the rest of the season! Not a popular option apparently, but I quite enjoyed the humour of Long Live the Lich with the narrating which got me exited for what we are going to be taking on. I also enjoy seeing what I can look forward to like the new mount, fractal, and legendary previewed in the trailer. I really liked the dark tone of Fear Not The Night, but find the trailers to be otherwise forgettable at best. all that and it still doesn't sway me from my point, you get exited after that line, i get bored and hope it ends fast.